Redditch based All PVC installations are independant suppliers and installers of quality PVC products. They came to Pedleyonline following a customer recommendation. We’ve been happy to help All PVC Installations with their very own quality install to include a new logo design and website to promote and advertise their business. 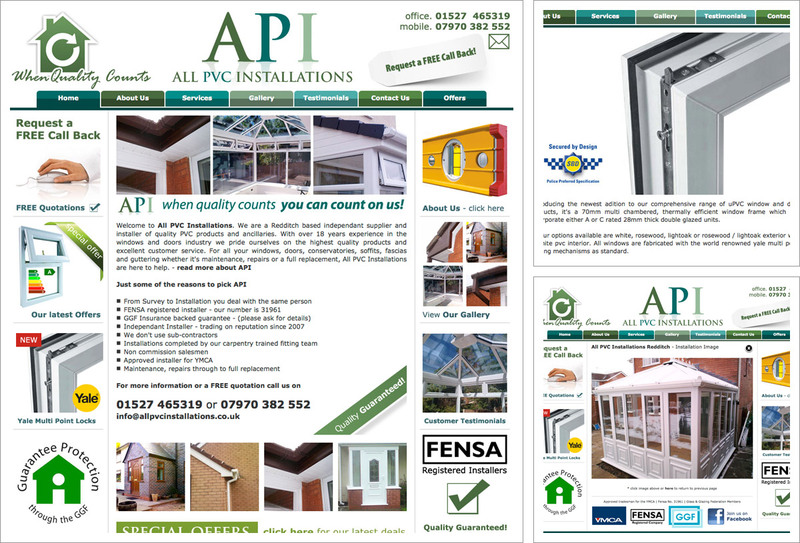 Read more about All PVC Installations in our Web Design & SEO Blog for Bromsgrove. ‘All PVC Installations Website online’. Can I just say thank you for the fantastic website that you have designed for me, my customer feedback so far has been brilliant. Everybody has commented on how easy it is to find the info they are after, but more importantly how professional it looks. I wouldn’t have a moments hesitation in recommending you, so thanks once again.